Thank you for viewing our vacation home, "Emerald Villa"! 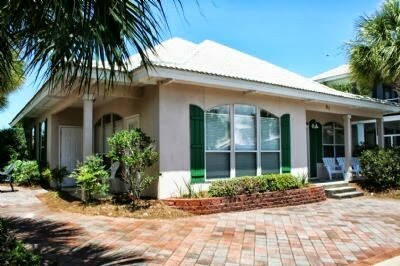 You will have a great vacation staying at "Emerald Villa" in The Emerald Shores gated community of Destin, Florida. 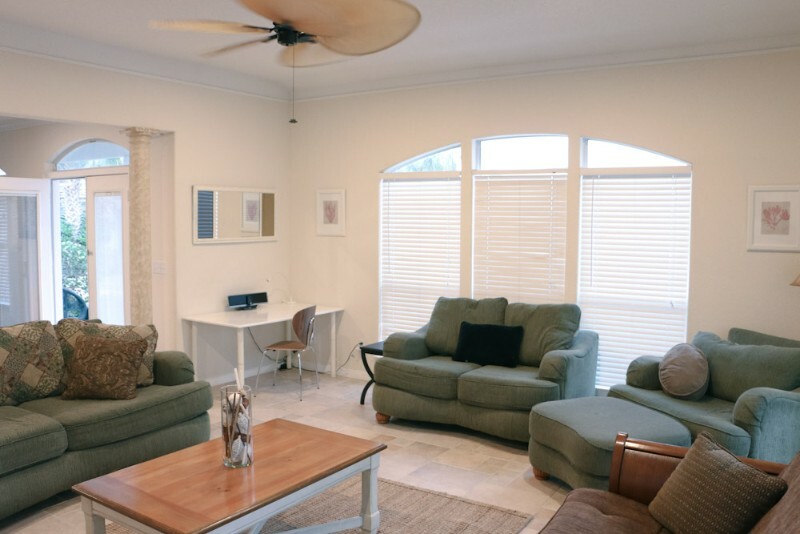 "Emerald Villa" is located in the cul-de-sac on Black Coral Cove Dr. Our home is located just a short 7 minute walk to the beach through the quiet gated community. In the summer months, the community offers a shuttle service to and from the beach for easier access, however is rarely needed. "Emerald Villa" is located between both of the community's pools, which are just one block away (Less than a 2 minute walk to either pool). "Emerald Villa" has one floor, which means no stairs to climb and no hauling luggage up and down steps! You will also love our professionally decorated house with an African Theme! 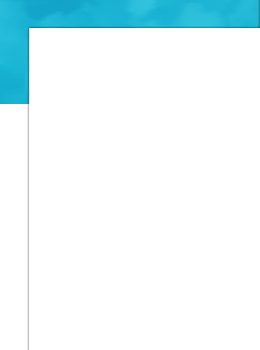 We offer FREE WIFI (wireless internet) in our house! 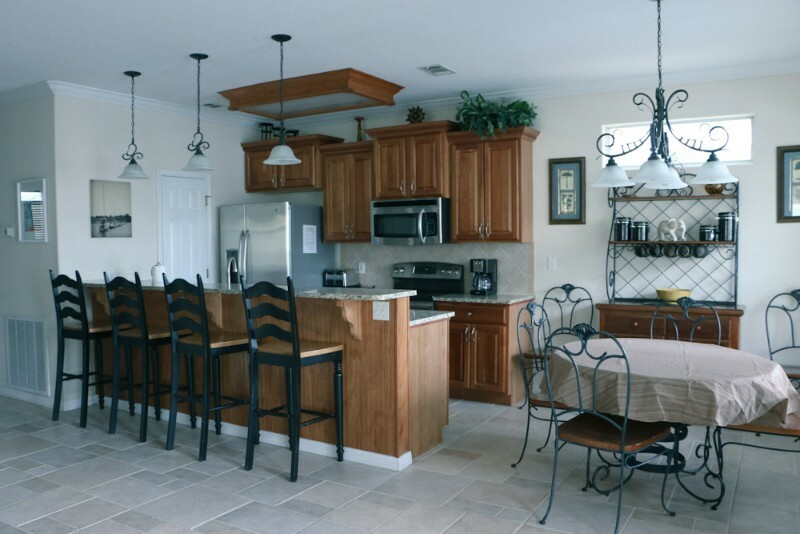 The community has 2 pools; seasonally heated, tennis court, basketball and shuffleboard. All gated, very well maintained and private. 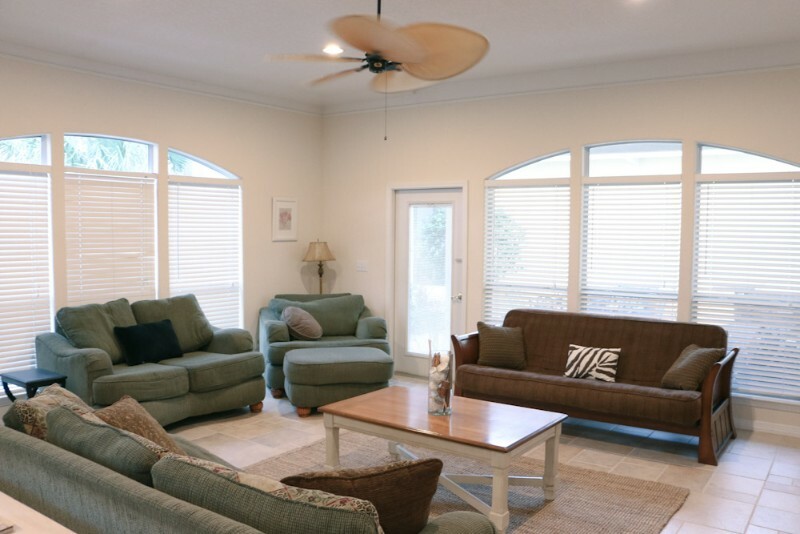 The community beachfront pavilion has storage for toys and bathrooms so you do not have to make a trip back to the house while enjoying a full day at the beach. MASTER BEDROOM #1: One KING size bed. There is a full bath in the Master Bedroom including a Jacuzzi and shower. The Master Bedroom has a full walk in closet for clothing and luggage. 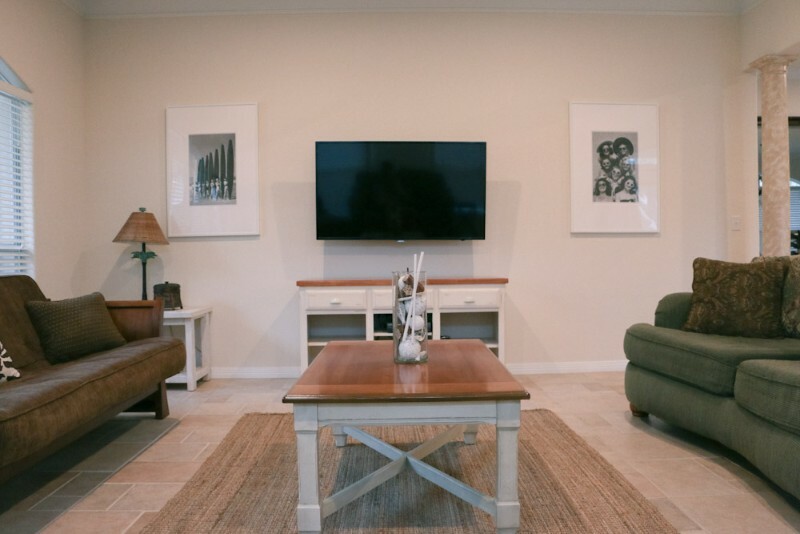 It also features a 37" flat screen TV with DVD player. Sleeps 2. MASTER BEDROOM #2: The second Master Bedroom has a large QUEEN BED to sleep 2 comfortably. This room also has a 37" flat screen TV with DVD player. There is a full bath just outside this door. Sleeps 2. BUNK ROOM: This third bedroom features two sets of bunk beds for the children! This room is adjacent to the second Master and located just outside the full bath. It has a 32" flat screen and Sleeps 4. FUTON: In the living room there is a very comfortable futon. Sleeps 2. LIVING AREA: In the living room, there are two couches and one large chair. It also has a 37" flat screen television with a DVD player and an IPOD dock stereo. It has a ceiling fan and a smaller bar in the corner. OUTDOOR PATIO: You will love our outdoor patio off the side of the house with a separate door for easy access. We provide chairs and an outdoor table for relaxing and dining. We also have a charcoal grill for grilling out! There is a fan and light for relaxing at night as well as an outdoor shower to rinse off salt and sand from the beach. LAUNDRY ROOM: Provided washer and dryer, iron and ironing board to be used at your convenience. PARKING: Parking at "Emerald Villa" is strictly limited to two cars. 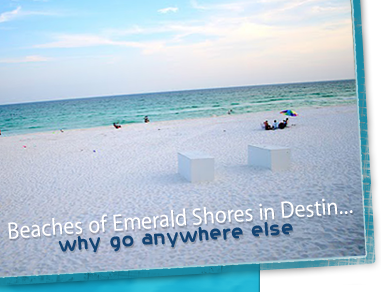 We are excited that you are considering our home, "Emerald Villa" in Destin, Florida. To reiterate from above, it is a short walk to either the pool or beach. We have tried to give you all you need for an informed vacation decision with the slide show above. There are many things to do in Destin! 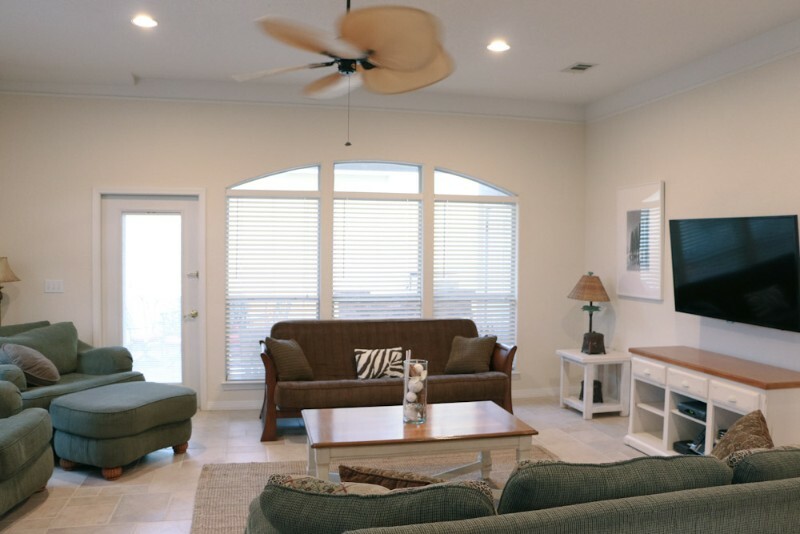 We hope you enjoy your stay with us at our Destin, Florida Vacation Home, "Emerald Villa".